The first Despicable Me movie had something original up its sleeve: it was genuinely original to have a baddie as the star of a kids' movie. Then came Despicable Me 2, and its solution to the originality problem was to have our baddie team up with a female partner in order to form the old style ideal family (because Hollywood is conservative as, and a single parent family shall not be tolerated). For the third movie in the series our studio chose to switch the focus to the Minions, creating a mediocre movie in the process, but hey, Minions! 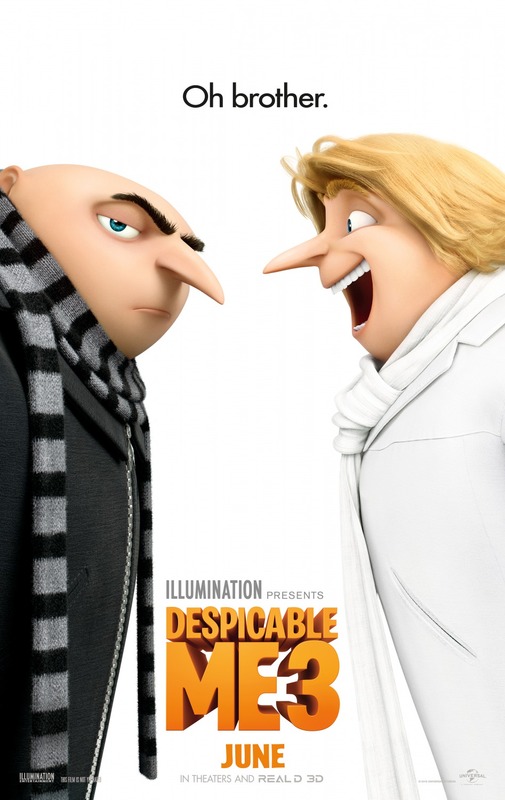 By the time they have reached the fourth episode, Despicable Me 3, our studio clearly ran out of ideas. The best they could come up with was a twin brother. So yes, no, Despicable Me 3 really has nothing new to offer us viewers. Sure, kids will like it still, but seriously, don't you think our children deserve better? Overall: 2 out of 5 crabs for a franchise that should take a look what happened to Shrek and know when to quit.